In Knitted Socks East and West, author Judy Sumner compares knitting a sock to writing a haiku: both challenge you to create something beautiful and original within a sparse, strict format. 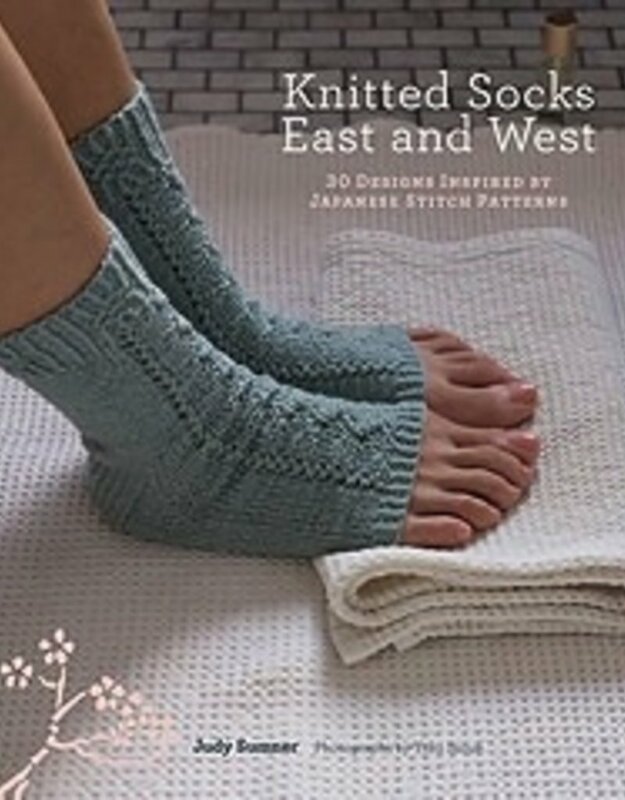 In this, her first book, she recounts how she came to study hundreds of exquisite Japanese stitch patters and then apply her new knowledge to the sock designs showcased here. 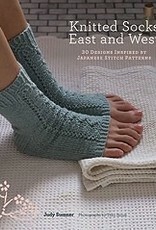 Whether short or long, fine or bulky, simple or complex, each of the 30 designs in Knitted Socks East and West is named after an intriguing aspect of Japanese culture. For example, the leg of the Origami crew socks appears to fold in and out; the Sumo slipper socks are named after the heavy, organic movement of the cables in their thick yarn; and the Ikebana knee socks highlight a textural floral design. Step-by-step text and easy-to-read charts are included for each design, along with illustrated directions for the Japanese stitchwork introduced in the projects.